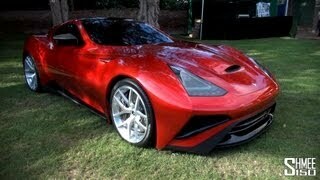 Icona has revealed the 2013 Icona Vulcano at the 2013 Shanghai Auto Show. The Icona Vulcano brings together different skills and expertise of a very Italian tradition. 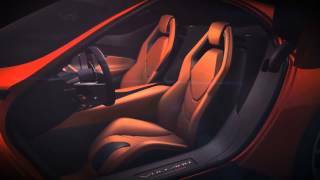 The Icona Vulcano is coachbuilt by Cecomp, founding partner of Icona Shanghai and one of the global leaders in modeling and prototyping in the automotive industry. 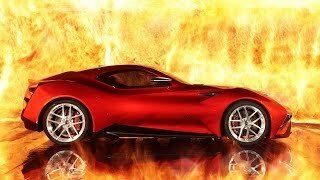 The Icona Vulcano is a front engine V12 two-door two-seater car reaching up to 950 horsepower; the top speed will be around 350 km/h, and 0-200 km/h will be well under ten seconds. The powertrain of the Icona Vulcano is the work of well-known Claudio Lombardi, former powertrain technical director of Ferrari and mastermind of numerous world champion cars. The wheels of the Icona Vulcano are forged aluminium, 20 x 10" in the front and 21 x 12.5" in the rear. 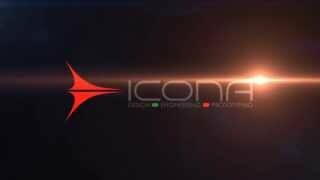 Icona has selected Pirelli P Zero ultra high performance tyres. The Icona Vulcano braking system has been supplied by Brembo. The GT-R brakes are the finest high-performance aftermarket braking system ever engineered for production.